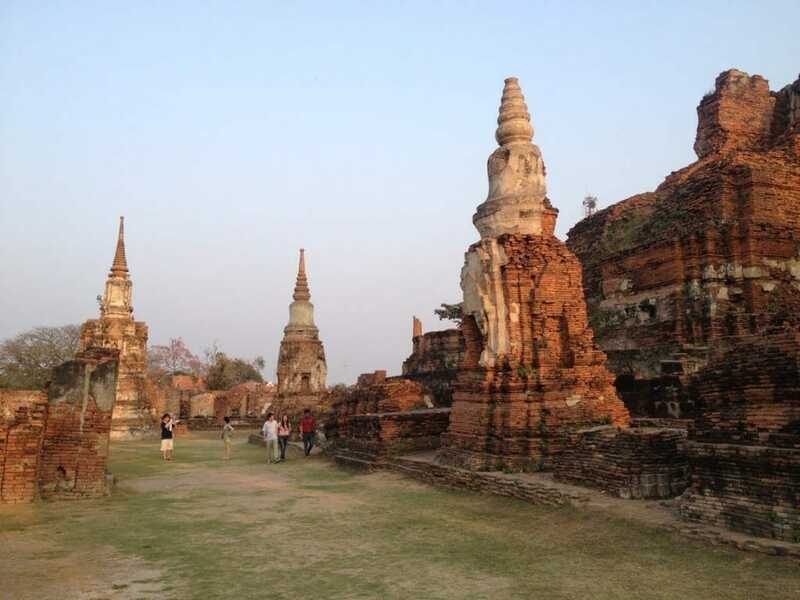 Ayutthaya is the old capital of Thailand and was an important trading port from 1350 until 1767. 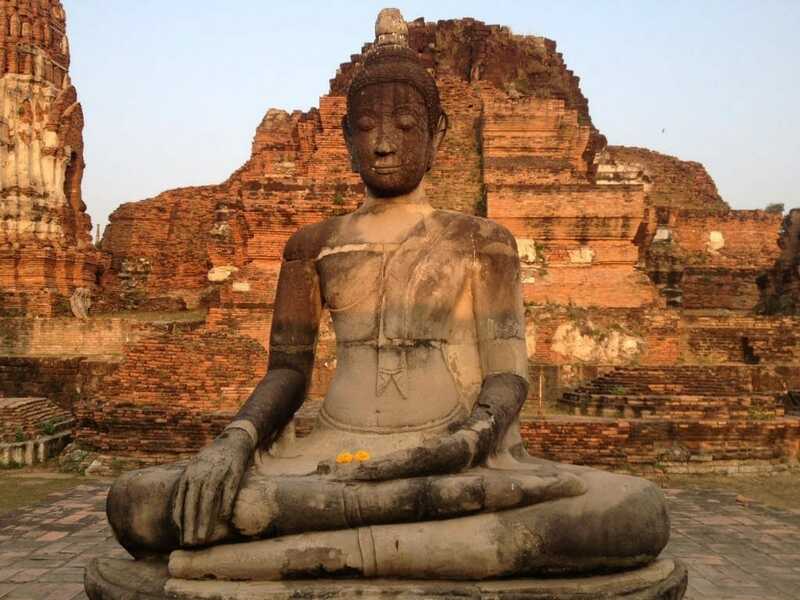 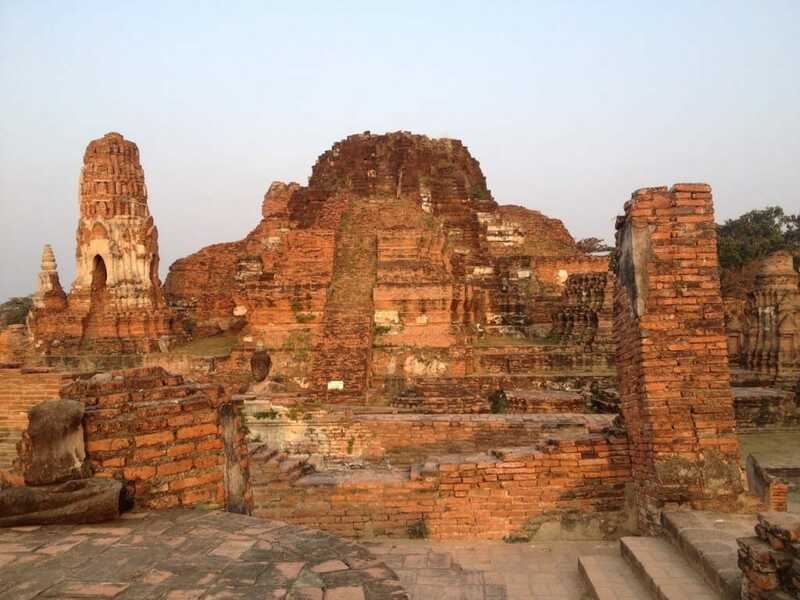 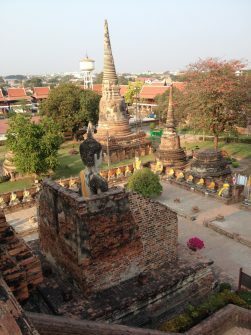 The city is located only 80 Km (50 mi) north of Bangkok and the old city form the Ayutthaya Historical Park, an archeological and UNESCO Heritage site, which contains Buddhist temples, monasteries, ruins and statues. 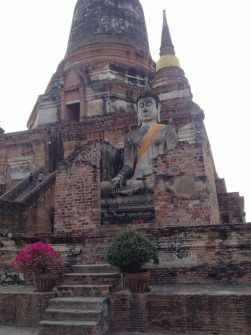 I visited Ayutthaya from Bangkok in February 2014, and there are daily excursions which you can choose from half to full day tours. 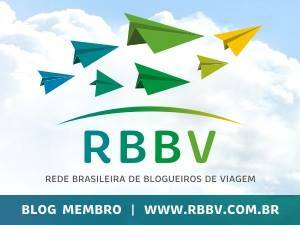 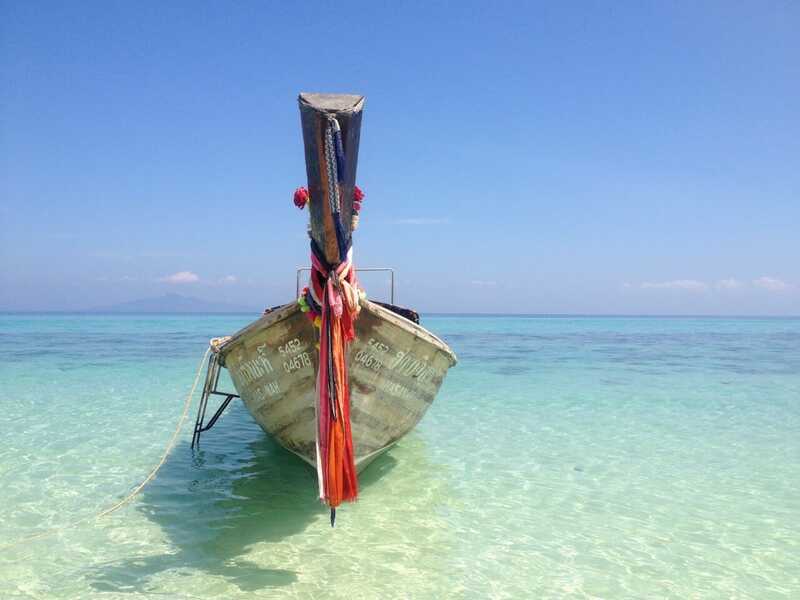 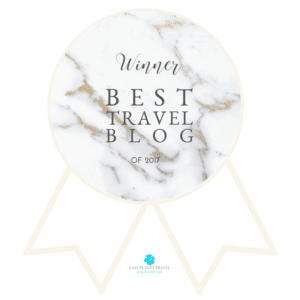 The visit is totally worth and you even can combine with a Float Market. 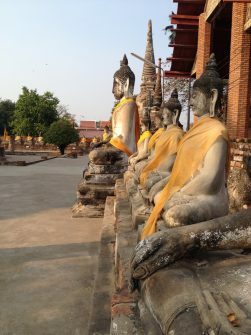 Was Phananchoeng: Built in 1324, some 26 years before the city of Ayutthaya was officially founded, the temple must have been partly connected to early settlements in the area, and has a gilded 19 meter high seated Buddha from 1334 A.D.
Was Yai Chai Mongkohon: This monastery was built by King U-Thong which exhumed the bodies of Chao Kaeo and Chao Thai who died of cholera, and cremated in 1357. 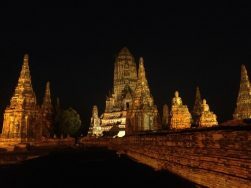 With impressive Chedi (the temple is 62.1 m height) and beautiful Buddhas, this is one of the most beautiful temples in Ayutthaya. 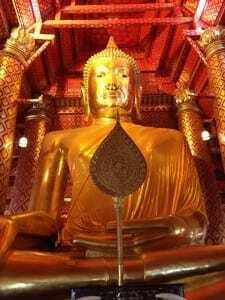 Was Phra Mahathat: a large temple that was very racked by the Burmese during the battles between Thailand and Burma, now Myanmar. 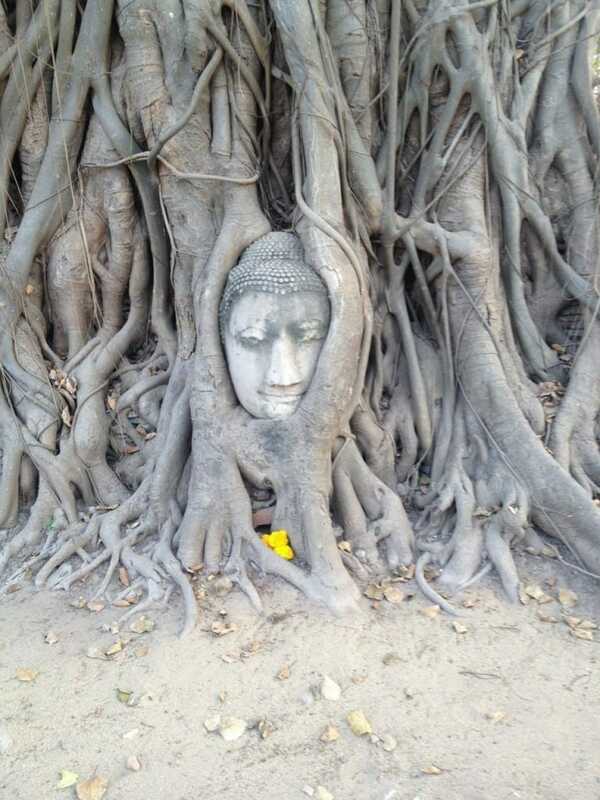 This is where you found the tree that has grown around a Buddha head. 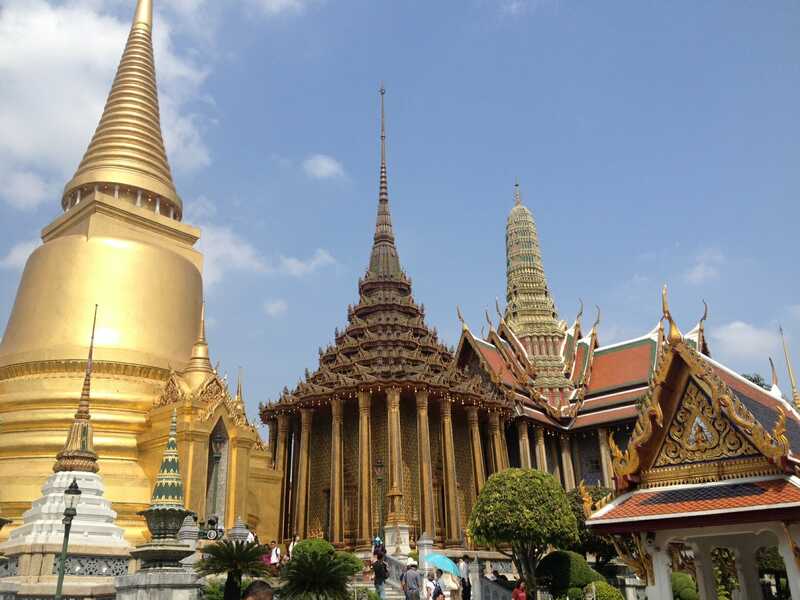 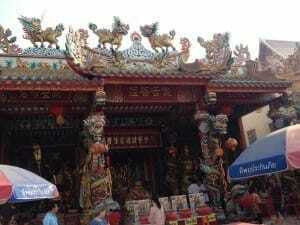 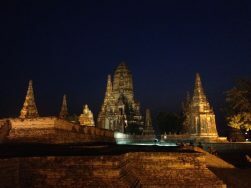 Was Chaiwatthanaram: this temple is located on the bank of Chao Phraya River, outside Ayutthaya island. 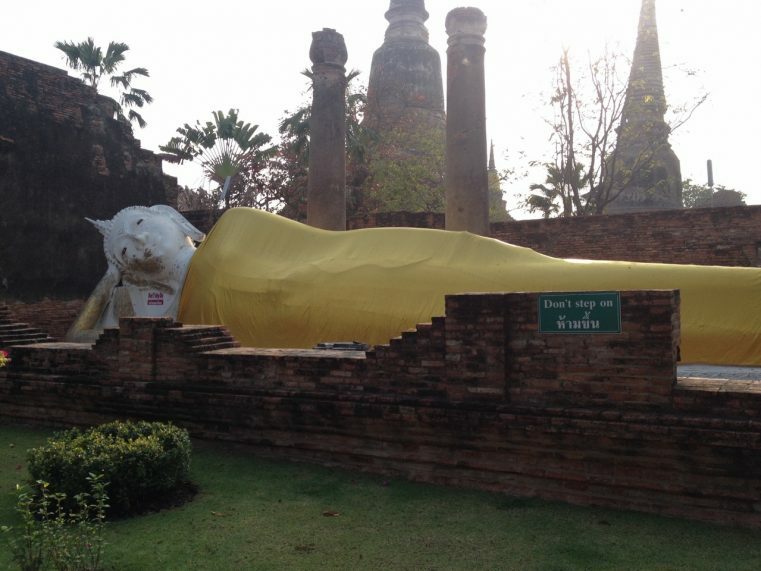 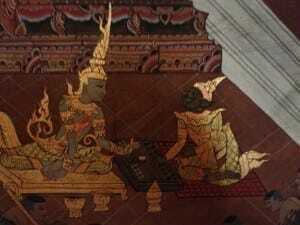 It is one of Ayutthaya’s best known temples and a major tourist attraction. 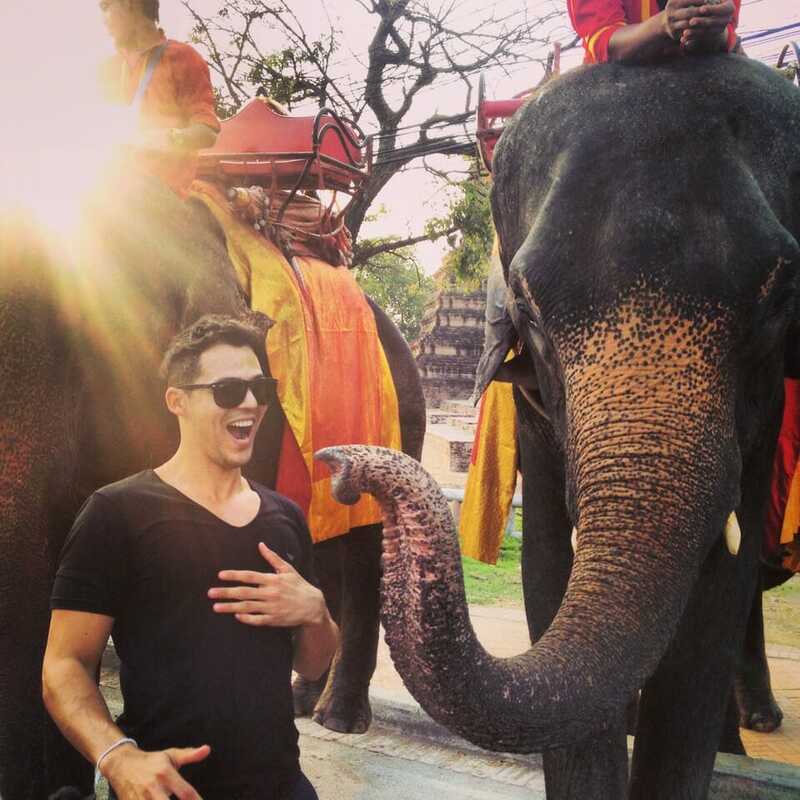 Elephant encounter: this was the most unexpected moment of the tour. 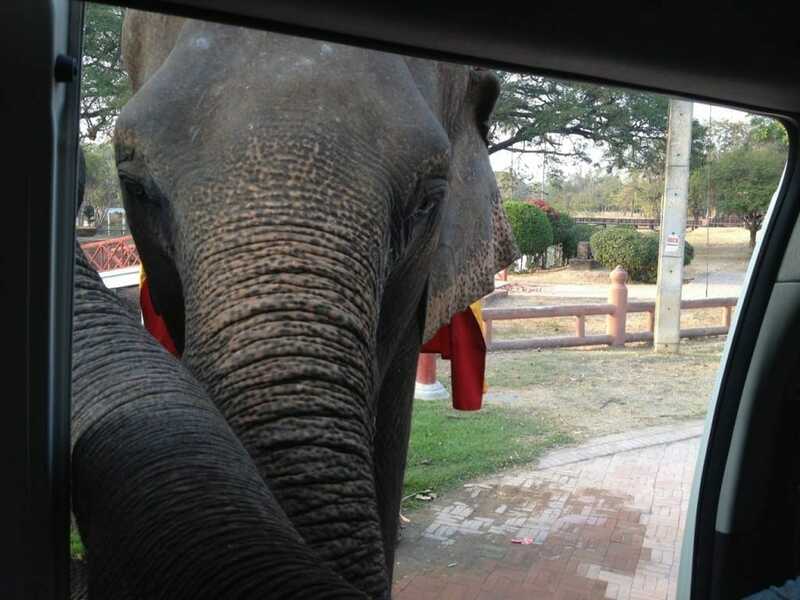 We encountered some elephants on the street and since the car stopped they put they trunks inside the car. 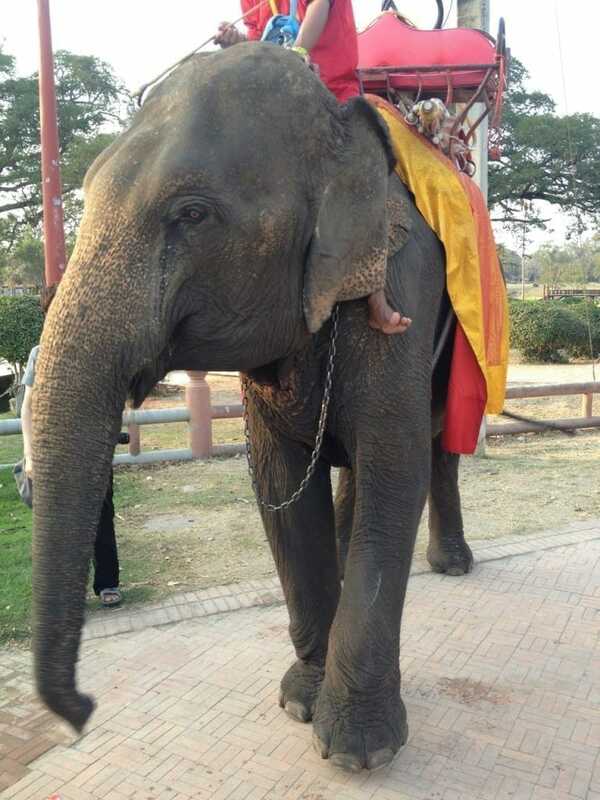 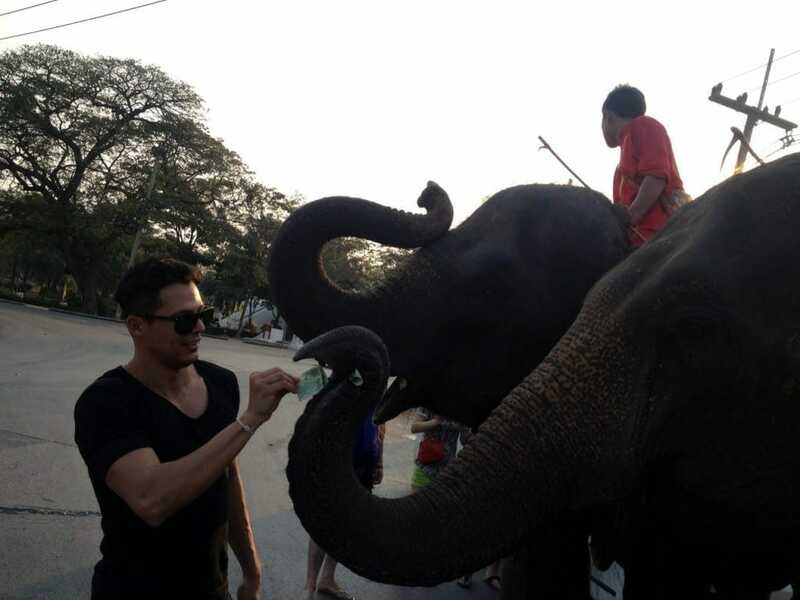 Yet the encounter is fun and magical however the elephants subject is very controversial in Thailand once people should not ride them.